This has to be the CEEMI performance that better reflects the deeper mission of the project: connecting people of all ages, backgrounds and musical skills through the power of collaborative music making. 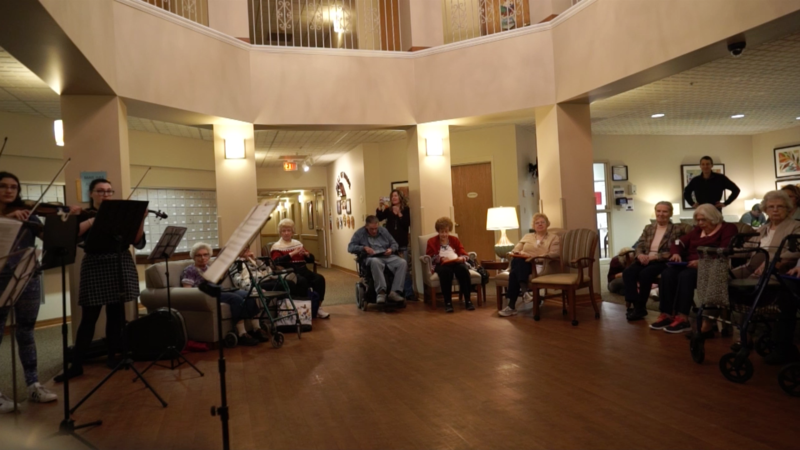 We teamed up with BT Studios and challenged their strings students to join our senior citizen CEEMI ensemble for a jam at Seneca Hills Village. The result was inspiring! You can see some snippets of it here.